hello again! just dropping in to share a new class by one of my favourite scrapbookers - paige evans! paige has a new class - make it big which is starting in a days time on 1st day of june! registration is closing soon so do grab this last chance to register! here are some details of the class! The motto for this class: the bigger, the better! 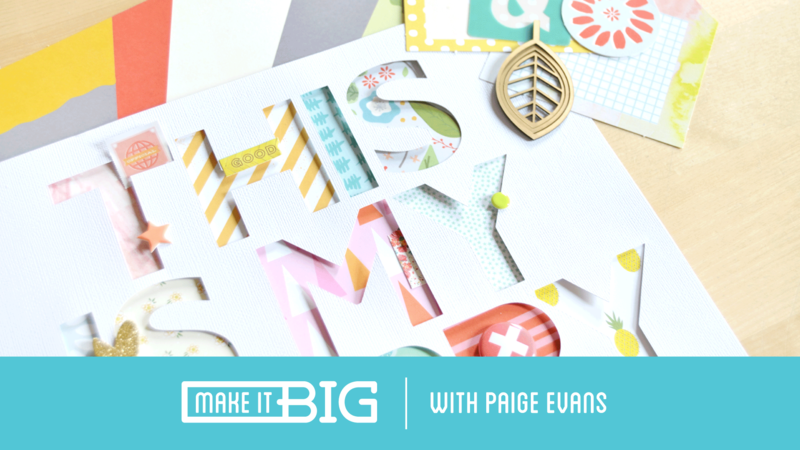 join paige evans as she shares ways to use big elements in your cards, layouts, and project life® spreads to make a big impact. paige shows how to use die cuts, stamped designs, photos, and more to create oversized features that make a statement. 4 videos and 8 all new projects from paige evans. 12 new projects (layouts, cards, pocket pages & mini albums) from our contributors - all using studio calico kits! digital die cut files from paige evans. adding big elements (think oversized photos, accents, alphabets and stamps) into my layouts/ projects have always been a big challenge for me so i'm excited to be inspired by paige and all the contributors for this class! you will also be happy to know that while supplies last (the last i checked, its still available so hurry!!! 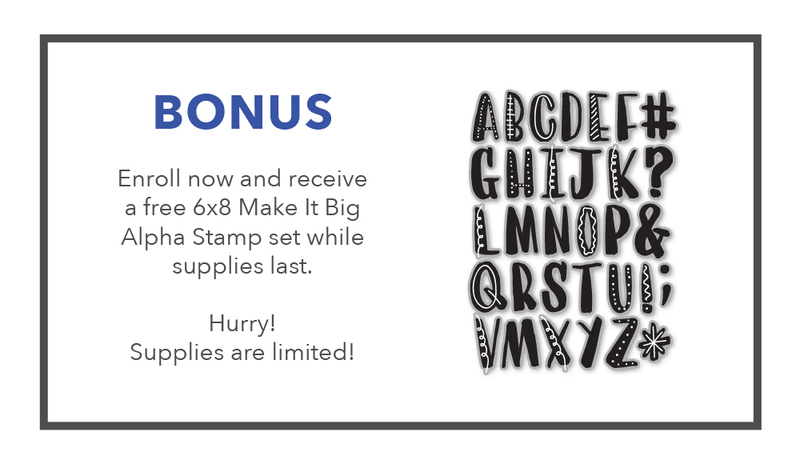 ), make it big students will receive a bonus 6x8in alphabet stamp set. these stamps will ship for free, no matter where you are! enrolment for make it big will close on may 31st at 11:59pm est and class will begin on june 1st. to sign up or to find out more details on the class, click here. you would like to check out the class supplies, studio calico has put together some recommended items here.